Nokia 3310 2017 at just Rs. 3,500 with Unbelievable smart features!!! Nokia 3310 (2017) at just Rs. 3,500 with Unbelievable smart features!!! Nokia’s most beloved phone Nokia 3310 has returned to the market with its all-new modern look, and it’s super cool and super trendy. 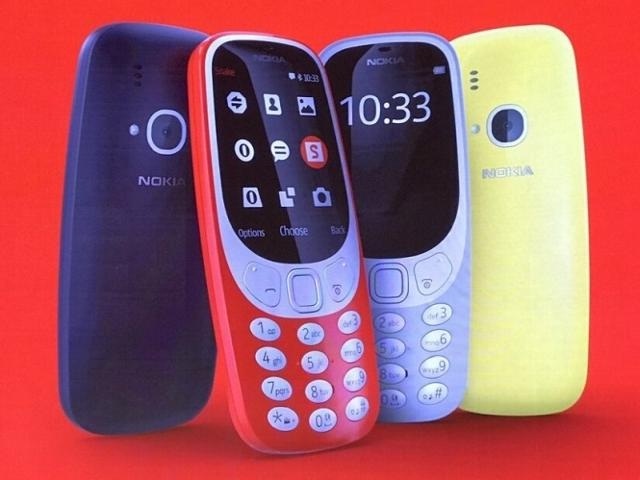 Nokia 3310 modern look Nokia 3310 2017 was launched at an event on February 26. A lot of Nokia loyalists were holding their breathe as the new Nokia MWC 2017 gets launched. The new Nokia 3310(2017) battery is one thing which is sure to win hearts all across. HMD Global at the launch event claimed that the handset packs removable 1200mAh battery and can deliver a talk time of up to 22 hours during a standby time of up to 31 days. Nokia 3310(2017) comes with the 2-megapixel camera, the picture quality not so superior but definitely, it will not disappoint you. Nokia 3310(2017) comes with 3.5 mm audio jack and supports FM radio as well as comes with the MP3 player, which gives you greater experience for you musical choice. Nokia’s famous Snake game has been updated, and a lot of other features are added to it. It also has an option to be updated with Facebook. The Snake game will have higher levels of the game with greater resolutions and color contrast. Snake Game is loved by Nokia loyalists who were waiting for this game desperately.